Q: We will be going on a 24 hour flight with our just 7 month old son to Australia and want any tips on how to keep him happy, well fed and slept, and all the other passengers on the flight happy! And any tips for adjusting to his new time zone and holiday surroundings with ease. Wow! 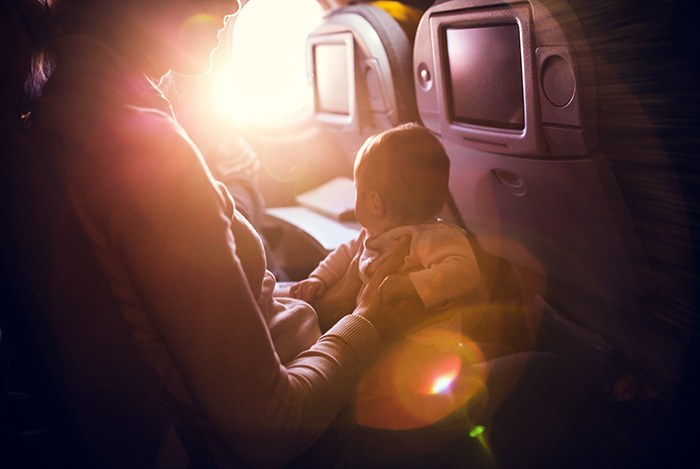 OK, first of all try to get a bulkhead seat if you can and make sure you book a skycot; if you can, request the bulkhead seats in the middle so that light streaming in from the plane windows doesn’t keep your baby awake. Make sure you have lots of soft (not noisy!) toys, for example a fabric shape sorter. And plan to give a bottle on take off/landing to help your baby’s ear pressure. Make friends with the crew, take lots of nappies, walk up and down the aisles at frequent intervals and try not to get too stressed if your son won’t settle – I know it can be difficult when you feel as though other passengers are glaring at you, but all you can do is your best.